Marchbankwood House was built in 1840 and is set in five acres of gardens and woodlands. Marchbankwood was a private house until the 1980s when it became a country hotel. In the 1990s it converted back to a private house until we moved here in 2005. Rather than convert it back into a hotel we have chosen to open a guest house and have three letting rooms. The guest house is surrounded by countryside and has wonderful views across the Moffat Hills in the east of Dumfries and Galloway. 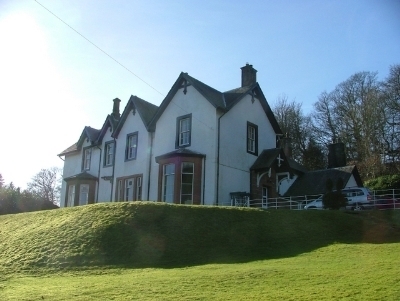 Marchbankwood House is a three bed-roomed guest house just outside Beattock, around three miles from Moffat. The guest house has wonderful views over the Moffat Hills. 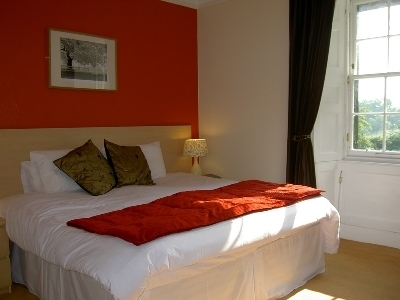 All rooms are ensuite with superking sized beds. Wifi and flat screen tvs in all rooms. Lovely selection of breakfast items including local sausages, black pudding and haggis from Wallace butchers in Moffat.